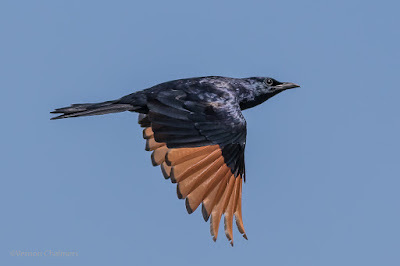 This was my first sighting / capturing of the Red-Winged Starling at Woodbridge Island. A pair of them were collecting moss for their nest - which was being built under the main bridge connecting Milnerton with Woodbridge Island. 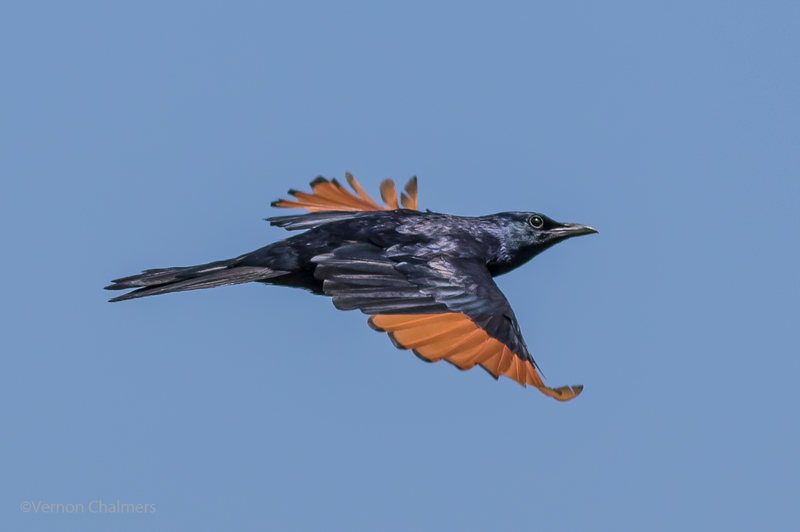 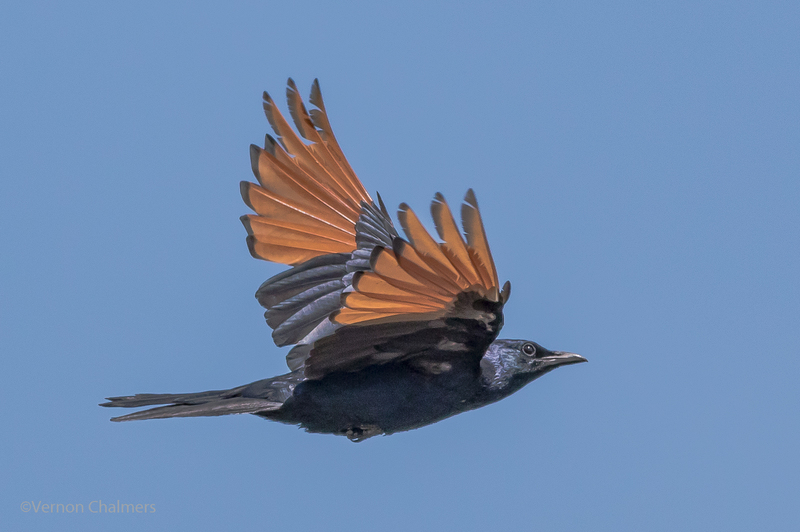 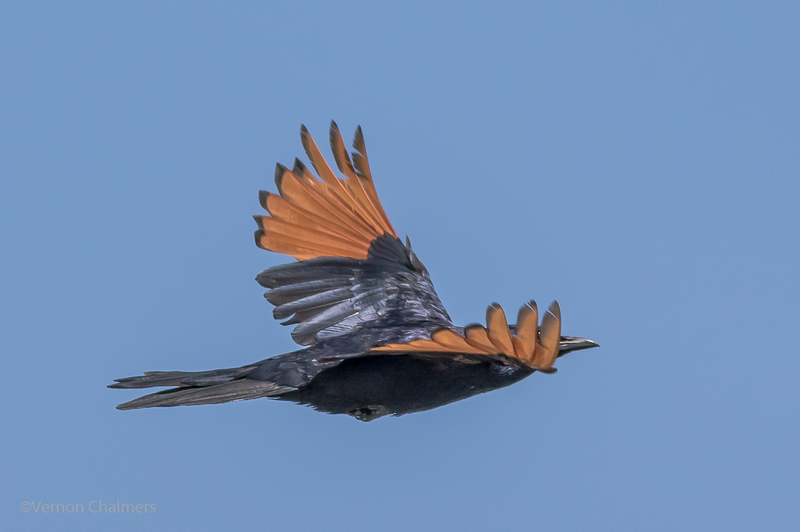 Red-Winged Starling images by Vernon Chalmers with Canon EOS 7D Mark II / EF 400mm f/5.6L USM Lens ISO 320 f/5.6 1/4000's, AI Servo Mode (Handheld). 10 fps High-Speed continuous shooting mode.